Companies across the world, for a variety of reasons, are committing to incorporating social responsibility into their business models and finding that their profits are growing and their long-term sustainability is enhanced—building "humanity" into their business models as the driver of economic, environmental, and social sustainability. This fascinating development is a widely observable global phenomenon. Responds to the critical challenges created by three environmental mega forces – the inevitability of globalization, the imperative of innovation, and the importance of shared value. This book is based on lessons drawn from the real world and provides a compelling rationale for the power of the BoH Proposition. The pragmatic framework and process offered enable companies to develop and confidently implement value-adding strategies based on the BoH Proposition. Chapter 7: Frugal Engineering, Not Jugaad! Dr. John C. Camillus earned his Doctor of Business Administration degree at Harvard University; his MBA at the Indian Institute of Management, Ahmedabad (IIMA); and his B. Tech degree in mechanical engineering) from the Indian Institute of Technology, Madras. He has held the Donald R. Beall Endowed Chair in Strategic Management at the Katz Graduate School of Business at the University of Pittsburgh since 1991. Prior to joining the University of Pittsburgh he was Professor of Management at IIMA. He has published extensively in management journals, including Harvard Business Review, Academy of Management Review, Strategic Management Journal, and Management Science. He has authored several books including, most recently, Wicked Strategies: How Companies Conquer Complexity and Confound Competitors (Rotman-University of Toronto Press, 2016). He has served on several boards of directors/trustees. He was a consultant to the top management of over 100 organizations on four continents, including Fortune 500 companies, professional firms, and nonprofit organizations. John has received numerous awards for teaching including, most notably, the University of Pittsburgh’s "Chancellor’s Distinguished Teaching Award" and the "Best Teacher" award at IIMA. He has received the "Distinguished Alumnus Award" from IIMA, the University of Pittsburgh’s "Chancellor’s Distinguished Public Service Award," and the Katz School’s "Inaugural Diversity and Global Leadership Award." Dr. Bopaya Bidanda is currently the Ernest E. Roth Professor and Chairman of the Department of Industrial Engineering at the University of Pittsburgh. His research focuses on Economic Development, Manufacturing Systems, Reverse Engineering, Product Development and Project Management. He has published nine books and over 100 papers in international journals and conference proceedings. Recent (edited) books include books published by Springer Inc., on Virtual Prototyping & Bio-manufacturing in Medical applications, and on Bio-materials and Prototyping Applications. He has also given invited and keynote talks in Asia, South America, Africa and Europe. He also helped initiate and institutionalize the Engineering Program on the Semester at Sea voyage in 2004. He has previously served as the President of the Council of Industrial Engineering Academic Department Heads (CIEADH), and on two rotations on the Board of Trustees of the Institute of Industrial & Systems Engineers. He also serves on the International Advisory Boards of universities in India and South America. Dr. Bidanda is a Fellow of the Institute of Industrial Engineers and currently serves as a Commissioner with the Engineering Accreditation Commission of ABET. In 2004, he was appointed a Fulbright Senior Specialist by the J. William Fulbright Foreign Scholarship Board and the U.S. Department of State. He received the 2012 John Imhoff Award for Global Excellence in Industrial Engineering given by the American Society for Engineering Education. He also received the International Federation of Engineering Education Societies (IFEES) 2012 Award for Global Excellence in Engineering Education in Buenos Aires and also the 2013 Albert Holzman Award Distinguished Educator Award given by the Institute of Industrial Engineers. In recognition of his service to the engineering discipline, medical community and the University of Pittsburgh, he was honored with the 2014 Chancellors Distinguished Public Service Award. Dr. N. Chandra Mohan received his doctoral degree in economics from Jawaharlal Nehru University in New Delhi. He is a well-known business and economics commentator who has worked with all the leading newspapers and magazines in India including The Hindu, Economic Times, Business India, Times of India, Financial Express and Hindustan Times – in a senior editorial capacity. He has also written for many other Indian publications like Outlook, Business Standard, Free Press Journal and Daily News and Analysis, including international ones like Fortune, Economist, FDI magazine (in-house journal of the Financial Times), Harvard Asia Quarterly and Inter Press Service. . In 1990, he was appointed a Parvin Fellow at the Woodrow Wilson School at Princeton University. Has also taught economics and international business to MBA students at multiple universities in New Delhi. He was previously a consultant with think-tanks like the Institute for Studies in Industrial Development and Research and Information System for Developing Countries. He has contributed to the research output of these think-tanks in the form of working papers and discussion papers. He has also contributed to research on economic diplomacy on topics like India’s FTA with ASEAN, blue economy, energy and other initiatives with the Society of Indian Ocean Studies. The Business of Humanity makes the business case for why a more human-centered capitalism is important as a long-term business strategy and offers a formula for sustainable economic behavior that could benefit billions of people. 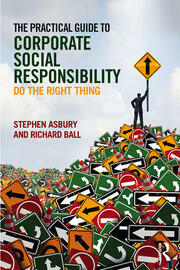 Every CEO and politician should read this book. With specific examples, the authors challenge businesses of all sizes and locations to question whether their focus is on the drivers of real customer value, progressive management concepts, and out-of-the-box thinking of what really drives long-term success. African businesses are compelled by a variety of factors to incorporate corporate social responsibility, and strong humane management in their business models. 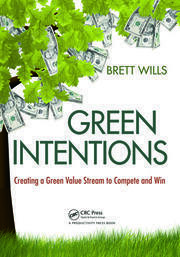 This book lays out the inductive logic and empirical basis for following this business model for enhanced sustainable economic performance. The Business of Humanity demonstrates that profitable competitive business models are often enhanced when leaders consider the impact of their actions on broader humanity. It’s a must read. These scholars have developed a disruptive innovation model that can transform the business world. 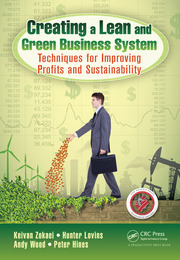 This book is the opportunity for businessmen and policy makers to implement this revolution all over the world. 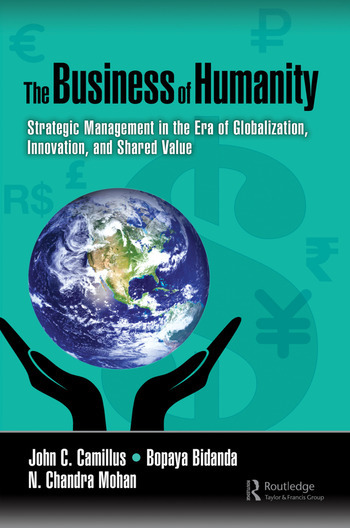 Organizations seeking to grow in new or emerging markets would benefit from applying the principles in this book.